With Zack Snyder, the director of Watchmen and 300, at the helm of one of the most anticipated movie of 2011, you can't help but expect a lot. Did this movie deliver or it's like an apple in a bunch of lemons? Here we go. Swords check, guns check, Nazi check, zombies check, dragons check, intense brutal action check, petite school girl check, explosions and death check. This movie is packed with lots of eye candy that caters a lot of perverts fans out there. Most of the film takes us on a dream sequence within a another dream sequence (OMG this sounds familiar!) and this is where the action takes place. Visually, this movie is highly detailed from the tiny falling snow to the biggest explosion. This will make you want more. If this film's eye candy were to be real candies, I'm gonna be diabetic. In the music department, majority of the story was set on the mood by the musical score. Some scenes make you wonder if this film is a collection of music videos. I almost jumped from my seat when I heard Bjork singing Army of Me, I was a fan of her way back. Anyway, I was disappointed that the mall where we watched this movie haven't placed Sucker Punch on a DTS equipped cinema, but instead, some local film was placed there. It could have been great to hear those slashing and blowing in digital surround. 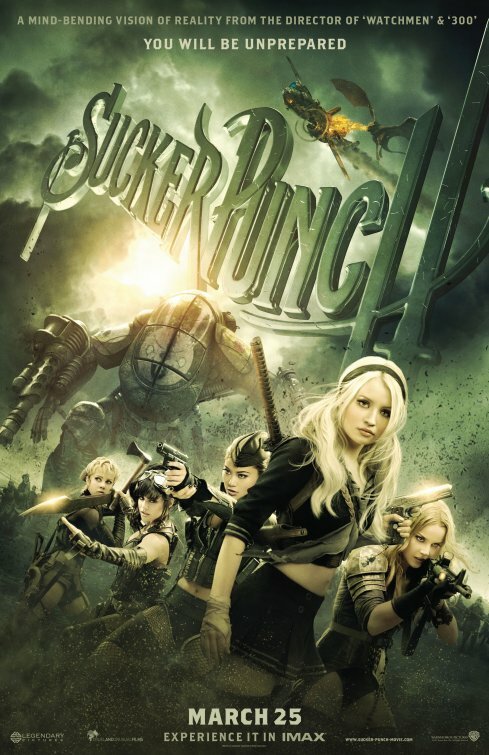 Emily Browning gave justice to that "petite school girl" fetish we were talking before and the other girls played their part well. Too bad character development was not prioritized in this film which resulted to some gaps and questions that plagued the film. Finally the story. It's one of those movies where you really really need to think in order for the story to sink in. It's like Inception but with less complications and a lot more action. A lot of critics did not agree with the story but I guess we have our own opinion about it. As for me, Even though the story lack some punch to it, it delivered the message well. If you are into action and have a knack for eye candy, then this film is right up on your alley.